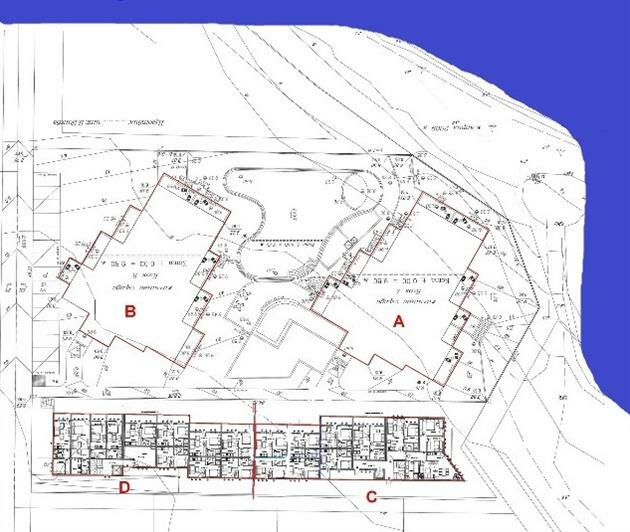 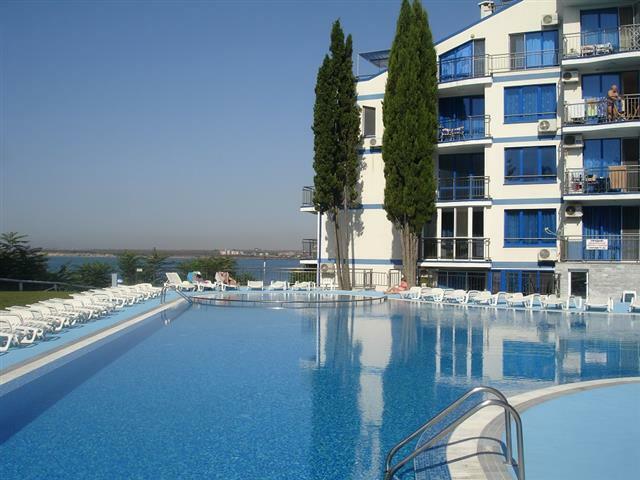 Location: Residential complex Blue Bay Palace is built in a residential area of the town of Pomorie, near the hotel "Sunset Resort", "Via Pontica" and others. 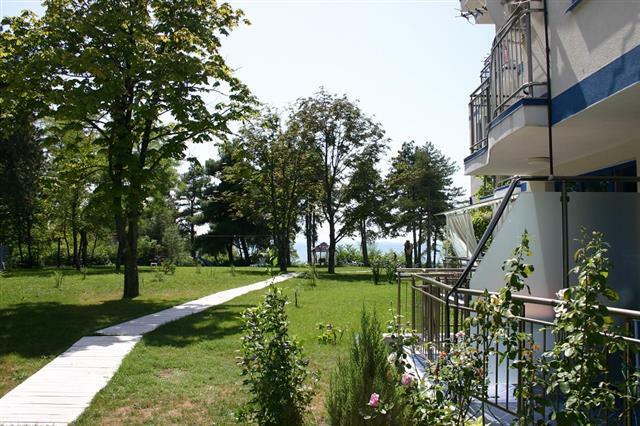 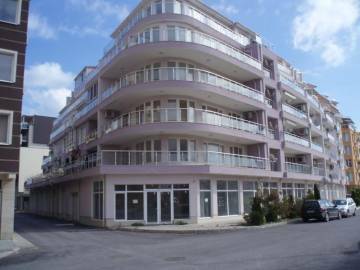 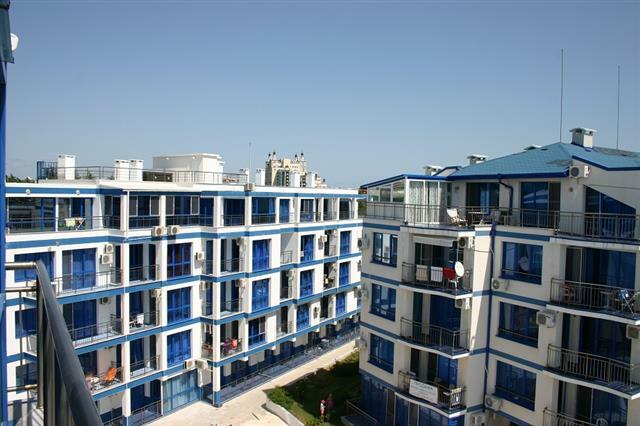 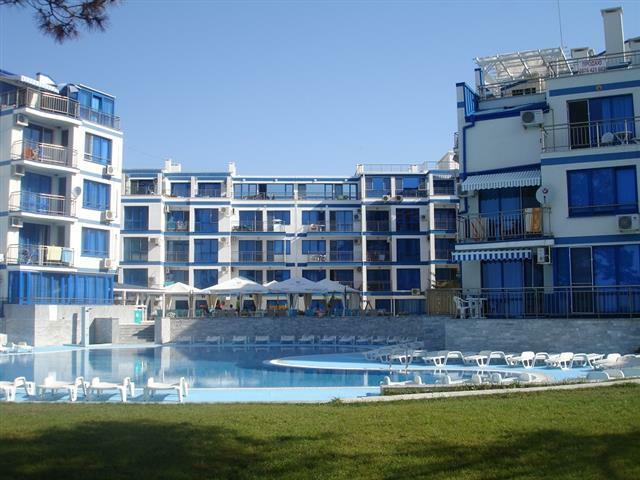 The complex is located on the waterfront of the sea, just 20 meters from the seafront in the new part of the town of Pomorie. 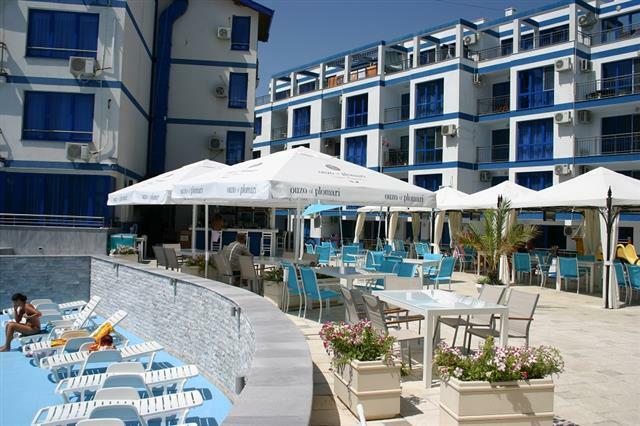 Within walking distance is the new part of town, with lots of restaurants, cafes and other entertainment. 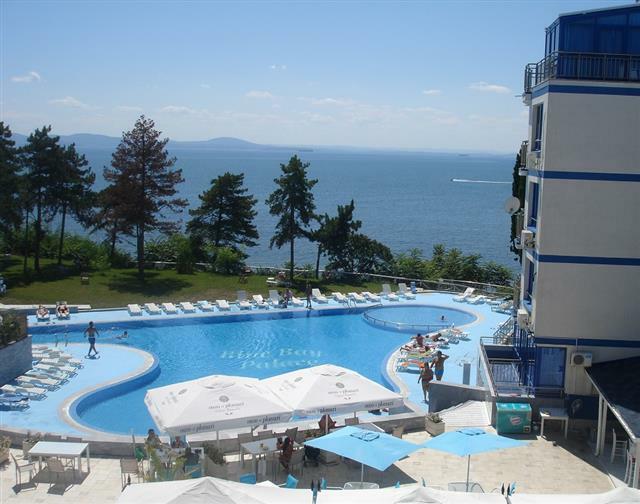 The resorts and Burgas can be reached by bus or individual taxi. 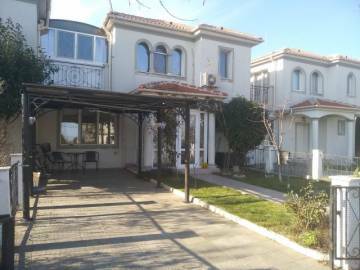 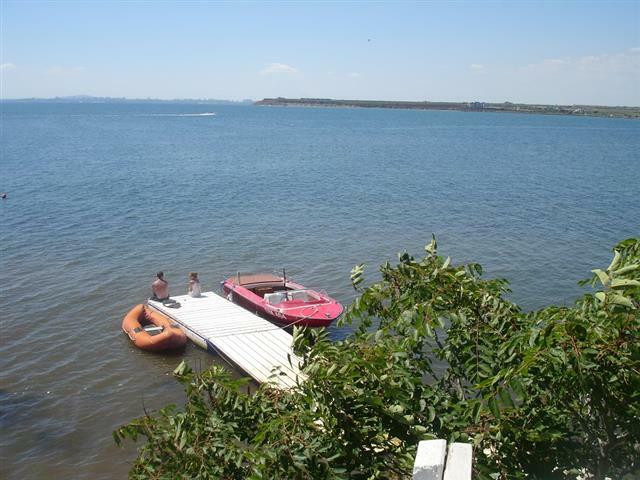 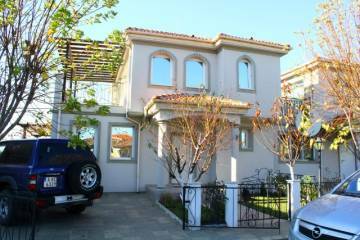 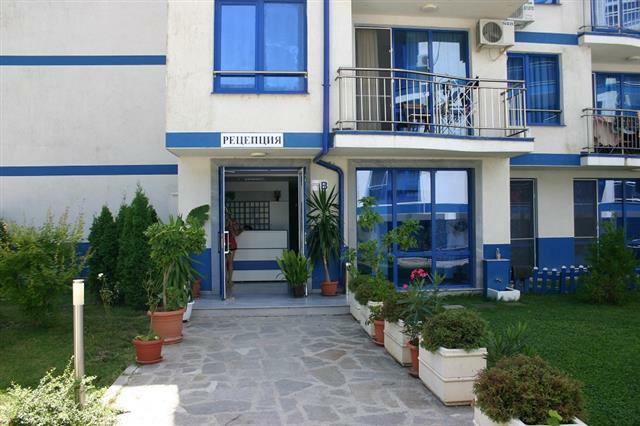 The distances to the centre of the town of Pomorie - 2 km, to the town of Nesebar - 15 km, to Sunny Beach Resort - 18 km. 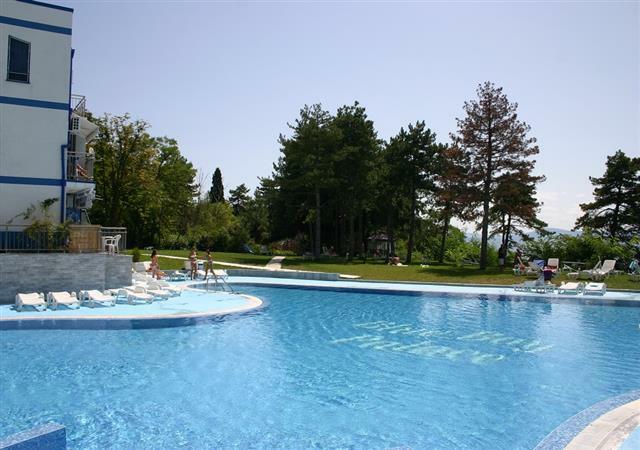 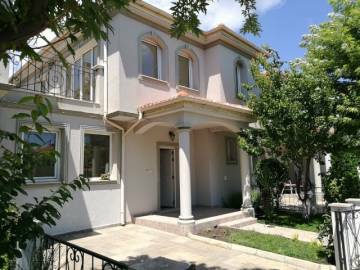 Description: Residential complex Blue Bay Palace is designed in modern Mediterranean style and is provide owners and guests the opportunity to relax and to live year-round in a quiet place, surrounded by wonderful pine park. 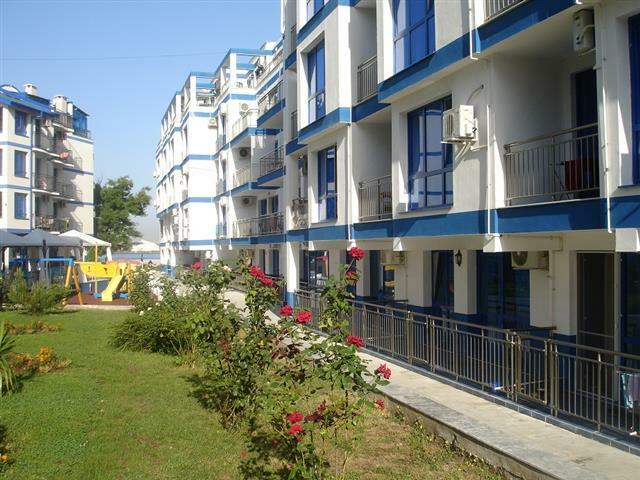 The complex includes 4 five-and six-storey residential buildings, situated on over 10000 sq.m of living space. 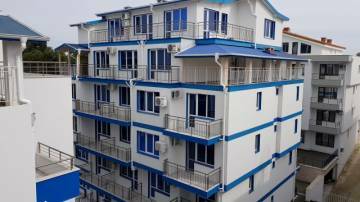 The complex offers studios, 1, 2 and 3 bedroom apartments. 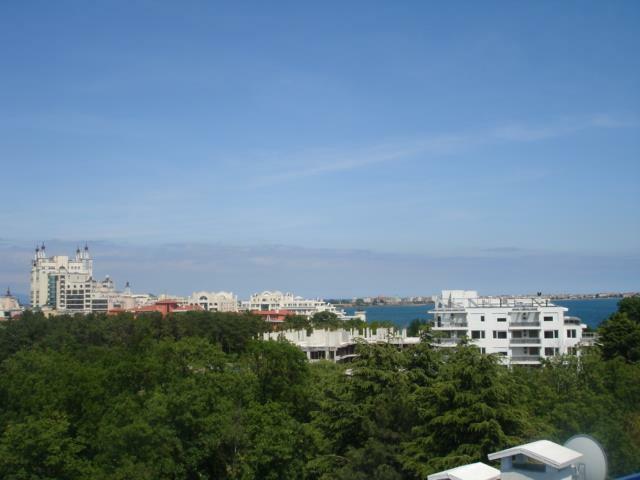 with south-west and south-east exposure. 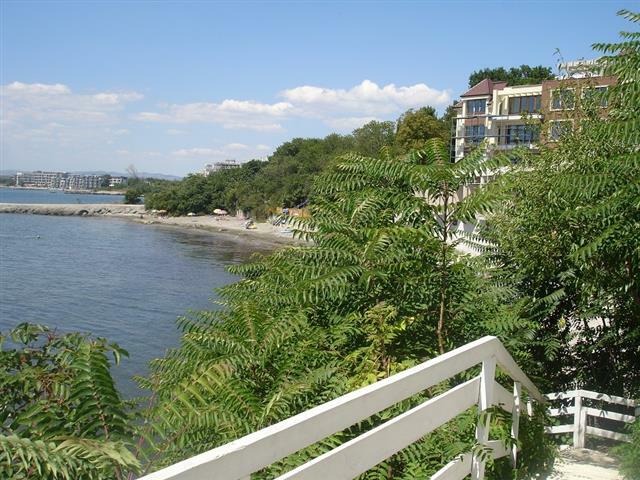 Most of the apartments have southern exposure and а unique sea panorama. 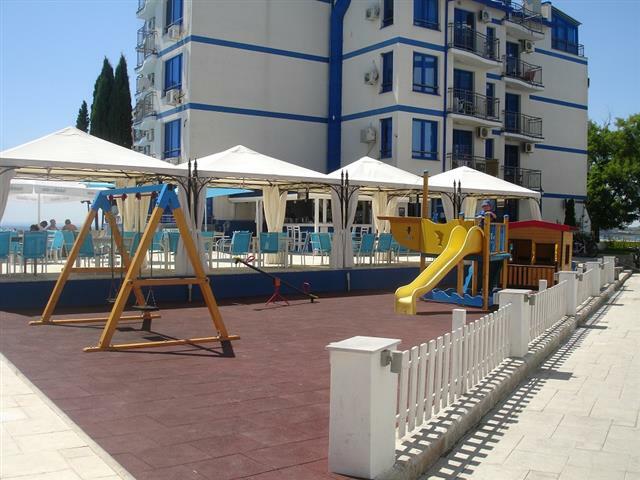 The complex offers: reception, indoor and outdoor restaurant, cafe, BBQ, parking, underground parking, childrens playground, outdoor pool with children's section and an area for sunbeds, parks and recreation area, direct beach access, SPA centre, lift in each building, 24 hour security guard, cable TV, Wi-Fi Internet access. 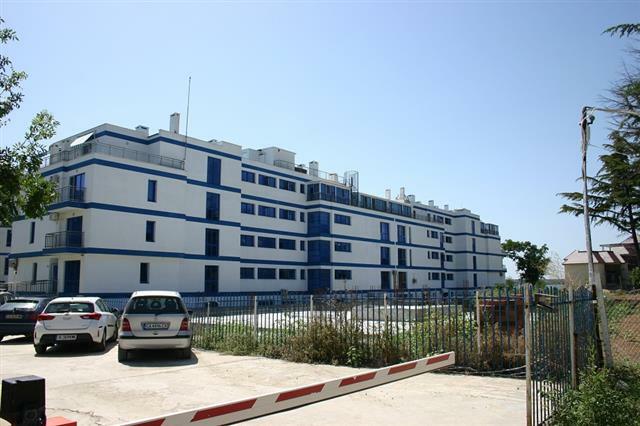 Construction and finishing works will be carried out using the latest technologies, materials and equipment. 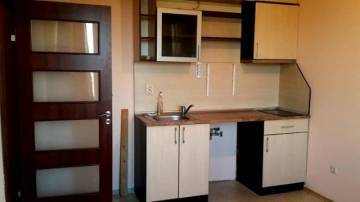 The apartments will be fully finished and furnished, equipped with household equipment and electric appliances. 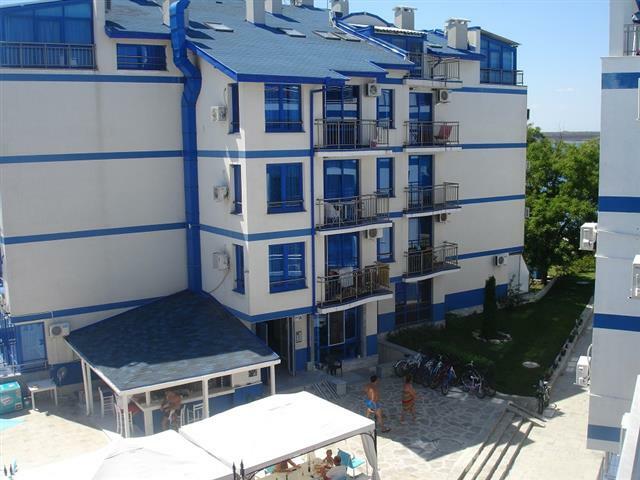 Annual maintenance fee: 10,50 EUR/sq.m without VAT.